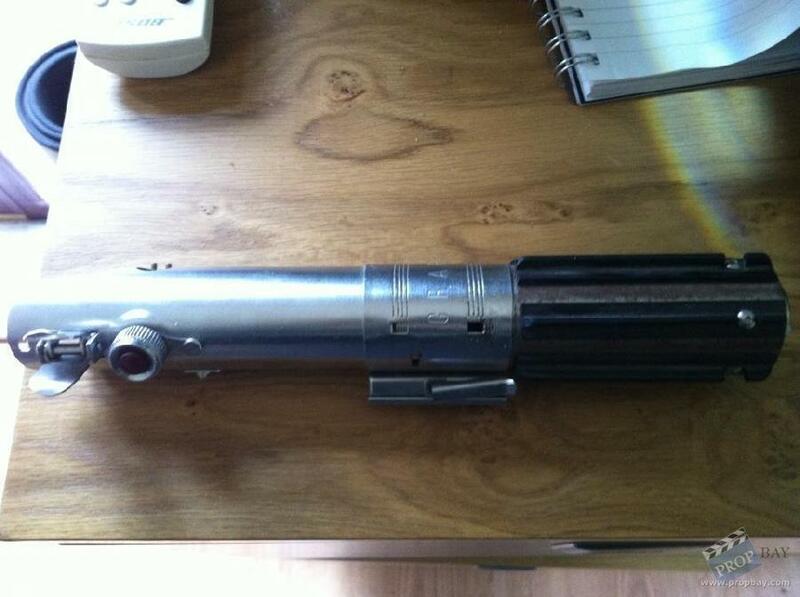 This is the original ESB Stunt Lightsaber that was used by Colin Skeaping in the Star Wars films. Colin was Mark Hamill's Stunt Double in all 3 films. it has rust around the bottom of the handle and the original silver sticker that covered the Graflex logo has been removed over time. This was aquired by one of the main stunt team on the film. Added: 02-04-2013 - Viewed: 1646 times.